If you have lost teeth due to accident or decay, bridges are an effective way to reduce pressure of biting, while also providing significant cosmetic benefits. Implants are replacement tooth roots. They provide a strong foundation for fixed (permanent) or removable replacement teeth that are made to match your natural teeth. Dr. Wirick is willing to give you your money back if you are not 100% satisfied or we do not improve upon your current dentures. Crabtree Valley Dental is the only practice in the Raleigh/Durham area that offers Identafi® oral cancer screening. A combination of regular professional cleanings, daily brushing and flossing, healthy low-sugar, and tobacco-free diets, is the best way to keep periodontal disease at bay. Teeth cleaning is part of oral hygiene and involves the removal of dental plaque from teeth with the intention of preventing cavities, gingivitis and periodontal disease. 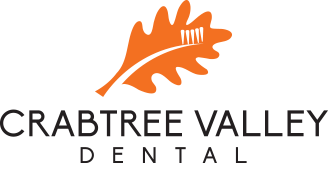 Raleigh’s Crabtree Valley Dental is committed to the philosophy of Restorative Dentistry, which is the concept of reproducing or repairing teeth and adjoining bones and tissue, through the use of metal and ceramic materials. Crabtree Valley Dental is proud to offer our patients three tiers of teeth whitening. Two of the methods are done at home. The third features our Whitening For Life Program with the most requested teeth whitening brand – Philips Zoom Whitening.